As part of KAUST's commitment not only to students, faculty and staff but also to their families, the KAUST School (TKS) provides an excellent education for the children of KAUST. It's with great enthusiasm that the dedicated and experienced teachers of The KAUST School (TKS) share their school mission, which is "to provide an exceptional International Baccalaureate education that empowers student to be resourceful and responsible global citizens." TKS students are taught the inquiry-based coeducational IB curriculum and TKS is authorized to deliver all three programs: Pre K-12; Primary Years (PYP), Middle Years (MYP) and Diploma (DP) and are fully accredited by the New England Association of Schools And Colleges (NEASC) and the Council of International Schools (CIS). The School is comprised of three divisions: Kindergarten (K1-K3), Elementary (Grades 1-5) and Secondary (Grades 6-12). From its inception, the intention of The KAUST School is to offer a truly world-class education. The school maintains a classroom ratio of one teacher for every 15 students in early education and one teacher to every 18 students in elementary and secondary. The technology infrastructure of the school is sophisticated and wireless, incorporating a broad spectrum of equipment. All learning spaces are equipped with 21st-century classroom tools such as an interactive whiteboard system and a 1:1 computing environment. 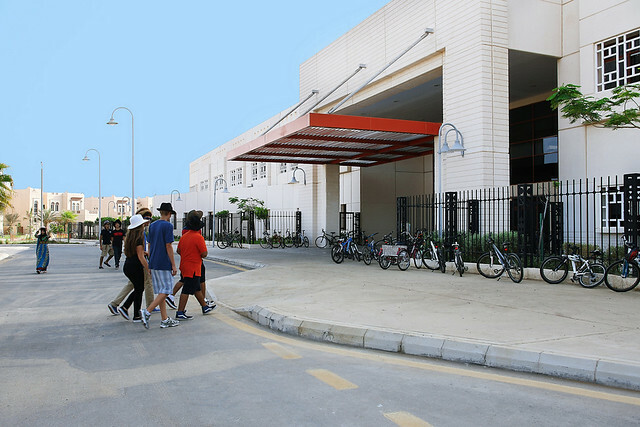 The KAUST School also offers a wide range of co-curricular activities. Some programs that have been developed include: Student Council, Model United Nations, choir, samba band, Boy and Girl Scouts, Green Team, yearbook, musicals, talent shows, and sports teams such as soccer, basketball, cross country, badminton, and swimming. Explore The KAUST School website to get a sense of the wonderful program, community, teachers and most of all students who make The KAUST School the unique and vibrant school that it is.